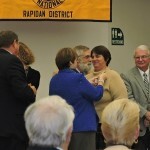 Words cannot describe how anxious and excited I was to be “in charge” of the Rapidan District’s convention. Truth be told, I was as nervous as a squirrel in a room full of dogs! People kept reassuring me that so many people would chip in and help, and let me tell you, to my great delight, people actually DID chip in and help – a lot! Seems as if every time I turned around, someone was asking how they could help! A lot of seasoned Ruritan members just “knew” what needed to be done, and did it without being asked. It would be impossible for me to list off the names of everyone that helped, because I am sure that many people just did what they saw needed to be done, and did it, silently, in the background. Parts of the day are a blur to me, with so many people coming up and helping, I know that I will forget some names, (especially who all helped me prepare the table centerpieces!) and I am sorry for that. If I remember more names, I will add them as I remember them. Michael Urbanek, my hubby, for being supportive of my Ruritan activities, and helping when he can. Hank Smith, my friend, and frequent driver. Donna Smith, Hank’s wife, for lending her hubby to me when I needed a driver! 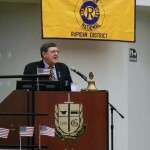 Bobby Burton, our National President, for being our featured speaker. 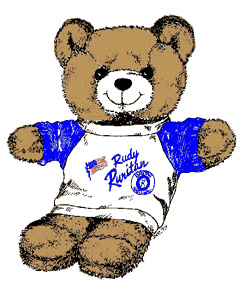 Linda Burton, Bobby’s wife, for her support of all things Ruritan, and for her support of her hubby. Fred Creasy, mentor, and original Zone 1 Governor, and original Convention Committee Chairperson. You will be forever missed. Perry Marshman, mentor, final Convention Chairperson, sounding board, and the reason I agreed to get involved in the District Cabinet. Al MacDonald, mentor, sounding board, final Zone 1 Governor, and the 2014 District Governor. And for all the physical help at the Convention. Bob Houck, my frequent driver to Cabinet meetings, mentor, sounding board, and the MC of the Awards Banquet and Installation Ceremony last night. Emily & Fulton Payne, for their massive amounts of hours dedicated to the Cabinet and the Convention. And for listening to me vent, and for their frequent reassurances that things will come together. Sarah Kelly, for helping me to adjust my perspective from time to time, helping to hand out the door prizes, and for her never-ending enthusiasm. Irene Luck, for being my Lt. Governor this year, and for the exceptional amount of help at the convention with the set-up and break-down at the Convention. 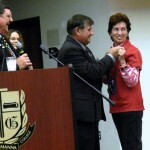 Coral Losinski, for helping with the set-up and break-down at the Convention, and for overseeing the Christmas Cards for Vets at the Convention. Greg Payne – great job being our chaplain, and great job doing our candlelight ceremony for the memorial service! Culpeper’s Boy Scout troop 196, for doing our color guard presentation for the opening flag ceremony at the Convention. 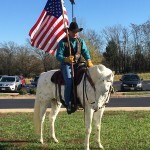 Forrest Whorton, and his horse Zeke, for your service as an inspirational tribute to our veterans at the Convention. Inspirational! John Jewell, of Jewell Tone Music, and his students Melody and Jeremiah, for their musical entertainment at the Convention. Awesome! 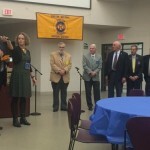 The Lignum Ruritan Club, for providing the snacks and beverages for the convention prior to the banquet. 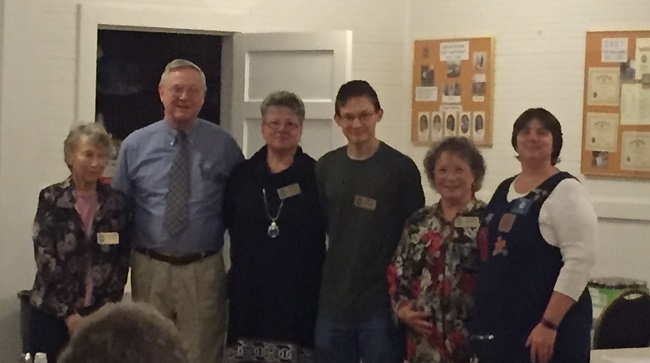 The Monticello Ruritan Club for making our Convention an important part of their fund-raising efforts, and for providing the youth for our closing Pledge of Allegiance to the American Flag. 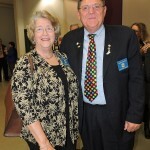 Susan Greitz, Glen Broadwater, and Pat Davis, for coming to our Convention as guests. Andy Anderson, for helping with the Silent Auction and Ham Raffle. Special thanks to the clubs that created exhibit tables! We received a message through our contact form on this website from an organization that I think may be worthy of consideration for possible guest speaker(s) at our local Ruritan Clubs. Below is the copy and paste message from the contact form. Hello, I am the Community Education Coordinator for LifeNet Health for this region. LifeNet Health is the federally-designated Organ Procurement Organization for most of Virginia and part of West Virginia. LifeNet Health is also one of the largest, most respected tissue banks in the country. We are responsible for all of the organ and tissue donations in our service area. As such we are also responsible for providing education about organ and tissue donation to correct the many myths and misconceptions about donation that exist in our community. I’m writing to let you know about our speaker’s bureau. Our speakers are donor family members and transplant recipients who share their personal stories about donation as well as providing the facts about how the donation process works. 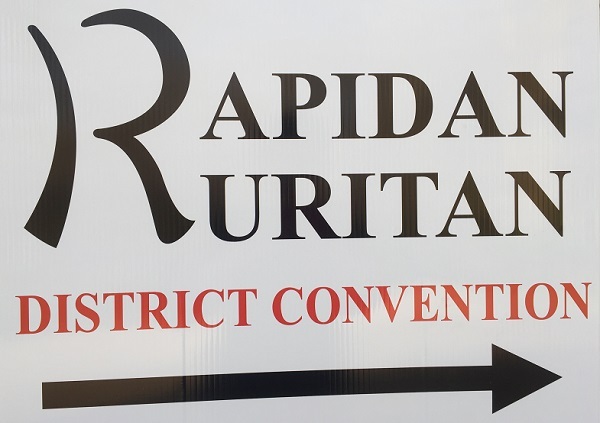 We would love to provide a speaker for an upcoming Ruritans Rapidan meeting. Please contact me at patricia_dean@lifenethealth.org or by phone at 804-317-4811 to arrange a speaker. 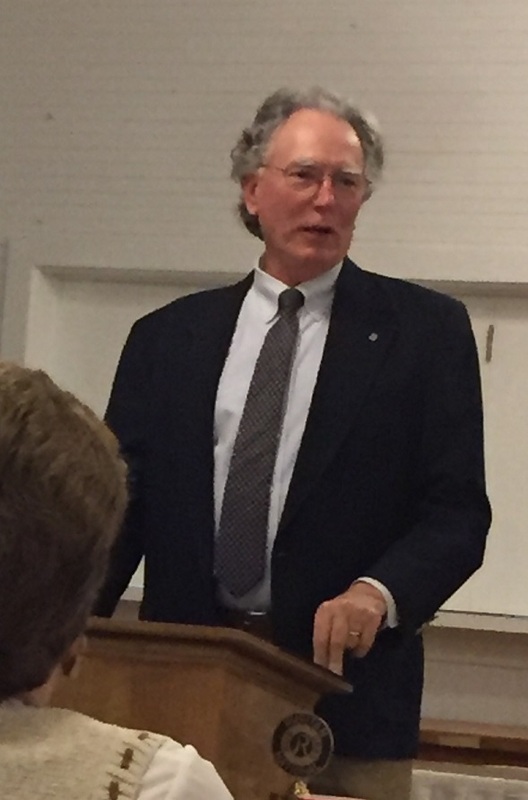 The Belmont Ruritan Club meeting held April 7th featured a visit and presentation by Captain Jeff Foster, “T.C. Waddy Station 9” VDF, Spotsylvania County. 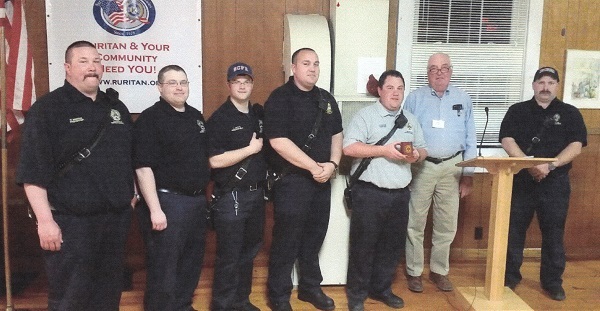 Captain Foster, accompanied by five station members, were guests of the Club as a continuing thank you for their time and sharing their expertise in protecting our community. The presentation centered on reminding residents to “shut doors” in the event of a fire, check smoke alarms on a monthly basis and change batteries every 6 months, and to be aware of the open burning guidelines within the county especially during the high danger fire seasons as posted along our highways. 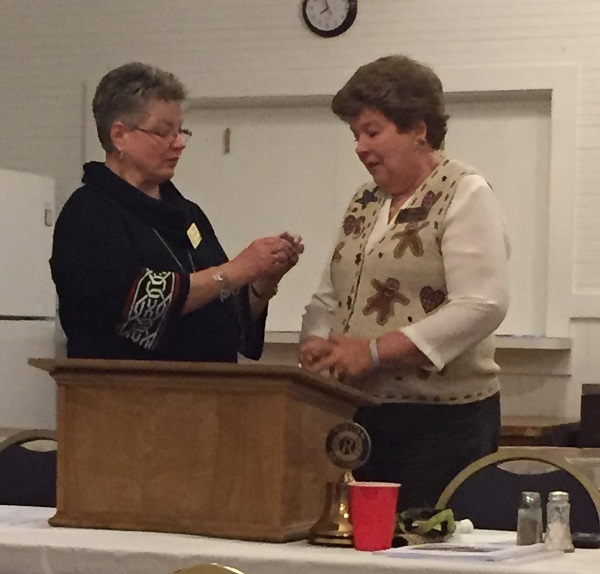 The Ruritan Club and the Belmont Club of Women provide support for the station and crew facilities through the sharing of funds raised by the annual Ham and Oyster Dinner.